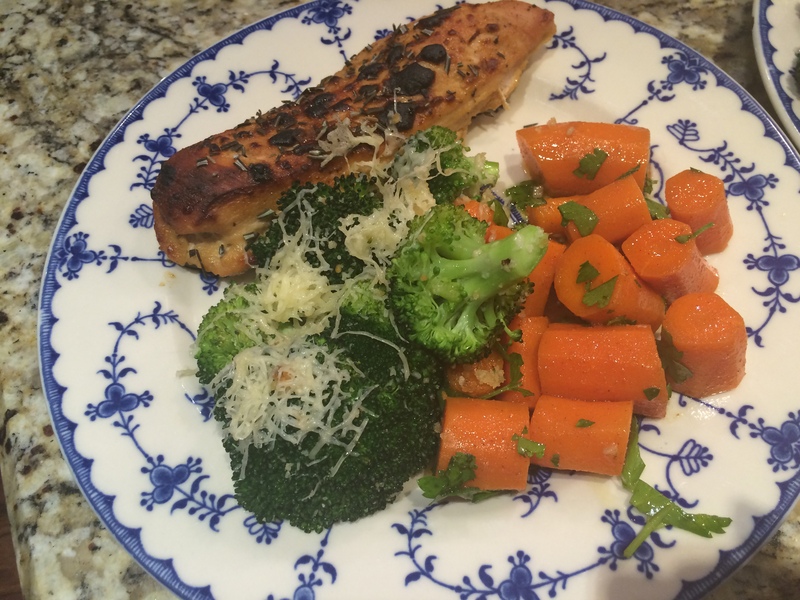 A Springtime Chicken Dinner | what are we having for dinner? 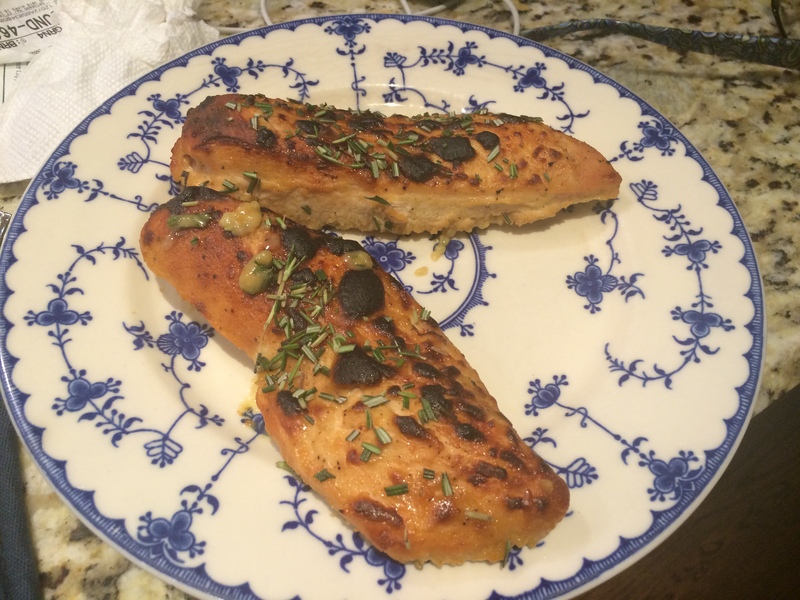 While perusing chicken recipes a couple of months ago, I stumbled upon this gem of a recipe. The claim was that it was the “World’s BEST Chicken.” I couldn’t wait to prove them wrong – but….the chicken was delicious! 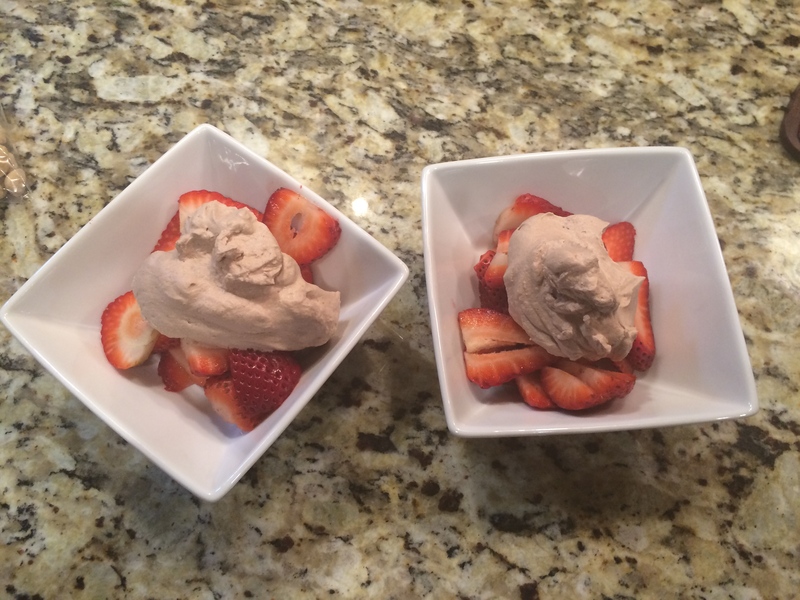 I’m not sure about THE best, but it was extremely easy and quick to prepare, and it was very very good. 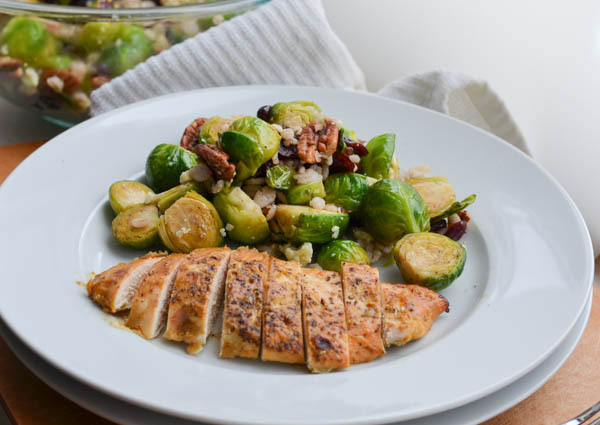 Pair it with some good veggies, and you’ve got yourself a wonderful weeknight dinner that’s healthy to boot! 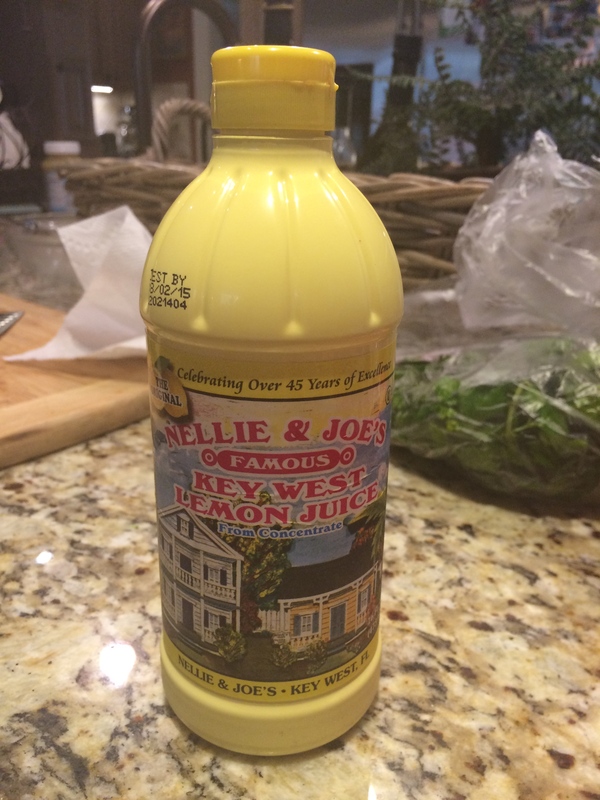 And…it’s what’s for dinner tonight. 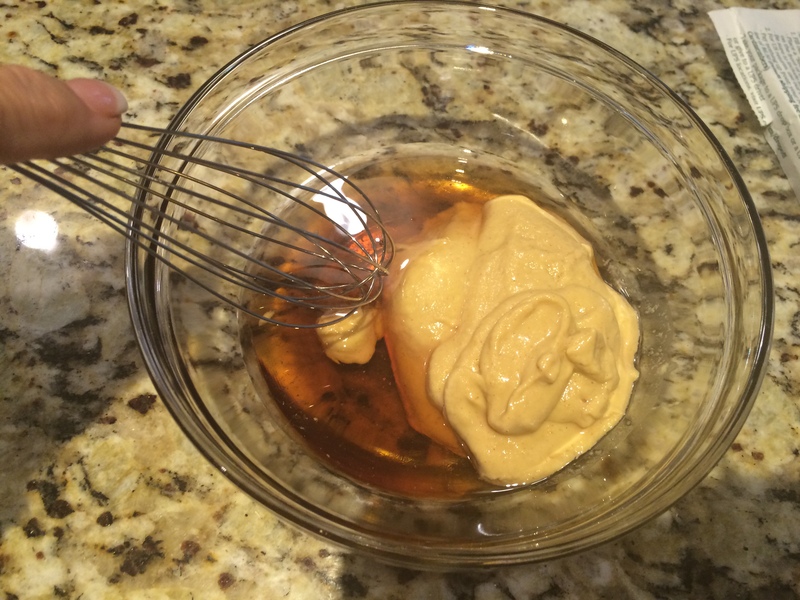 Preheat oven to 425 degrees F. In a small bowl, whisk together mustard, syrup, and vinegar. 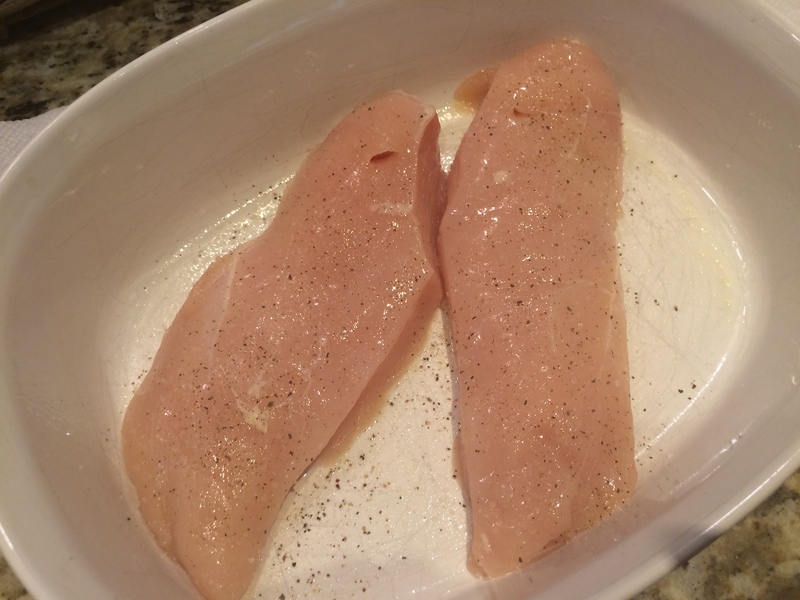 Place chicken breasts into 9×13 baking dish sprayed with cooking spray. Season with salt & lots of pepper. 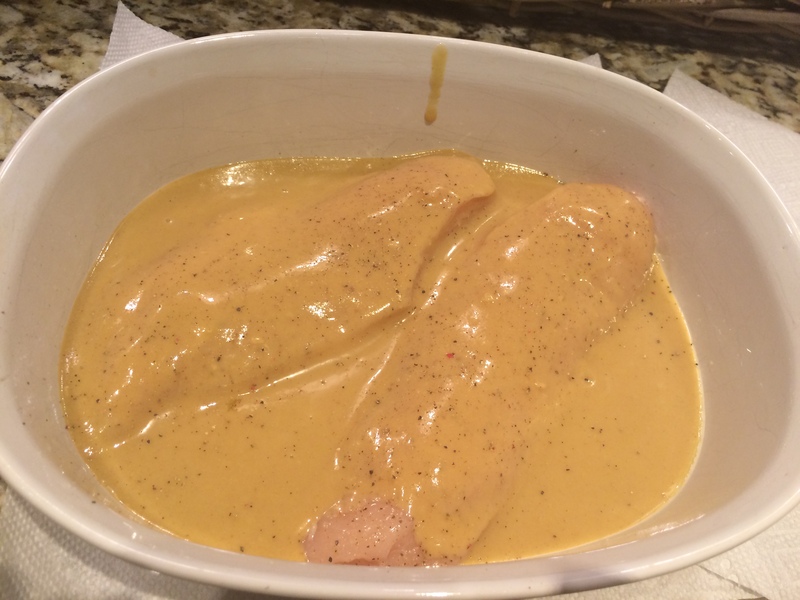 Pour mustard mixture over chicken. Make sure each breast is coated. Top with more pepper on. At this point you can refrigerate until ready to bake, or just pop the chicken in the oven now. Bake for 30-40 minutes, or until meat thermometer reads 165 degrees. 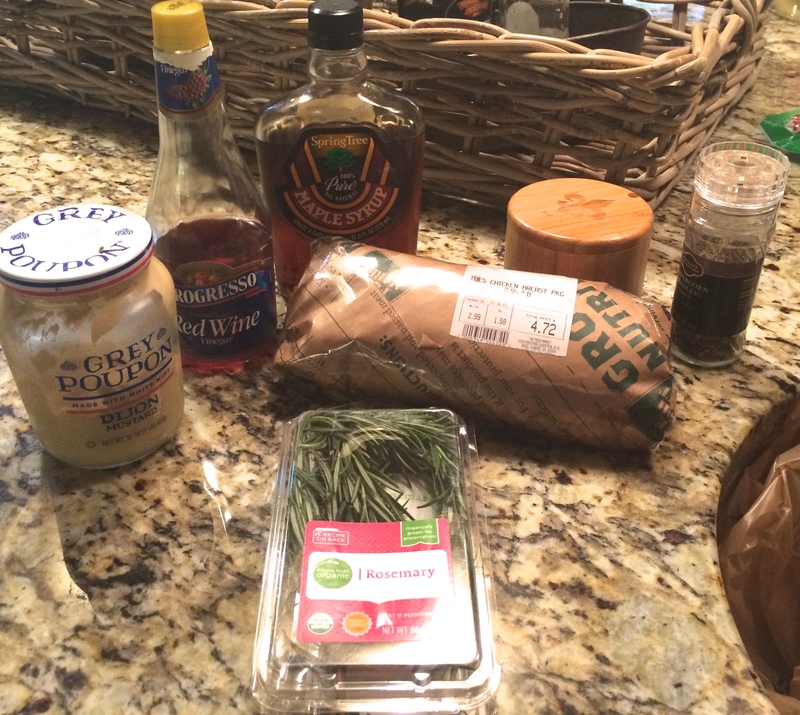 Season with fresh rosemary. 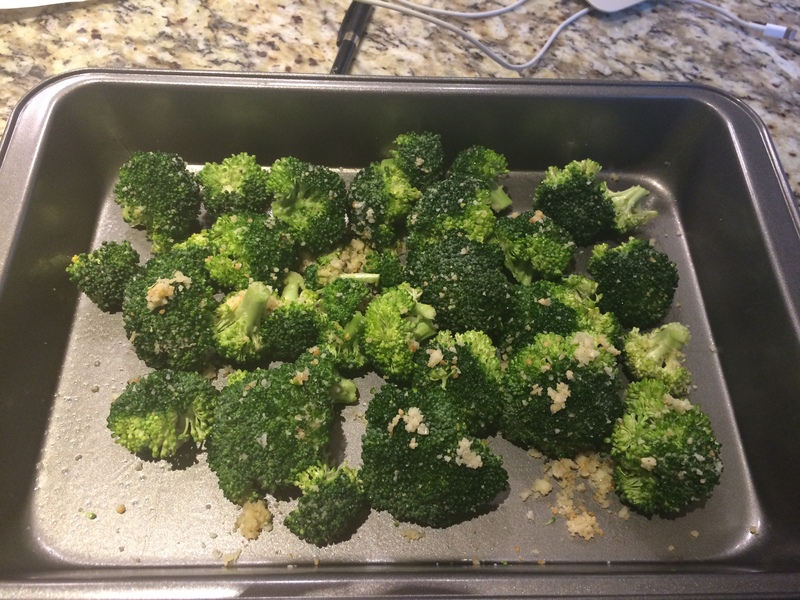 Preheat oven to 425 degrees F. Cut the broccoli florets into bite size pieces. Cut the stalk into 1/8-inch thick, round slices. 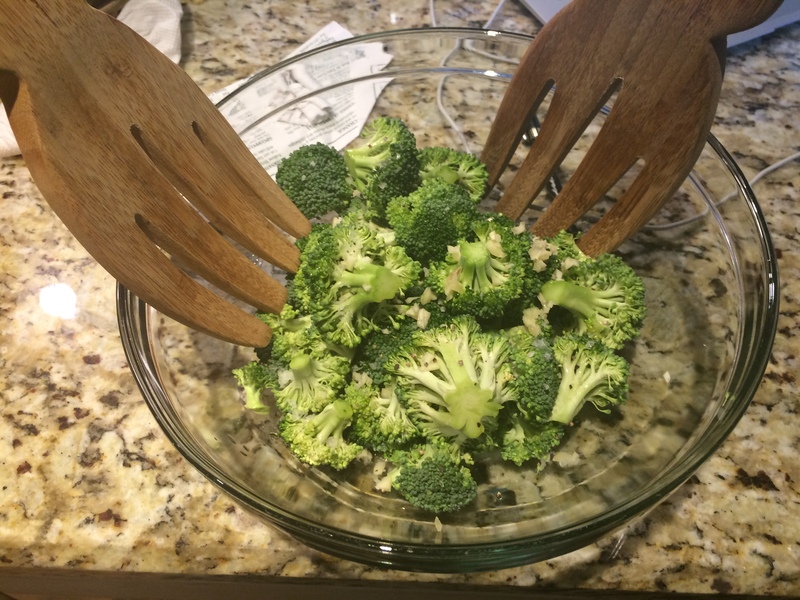 Place the broccoli into a mixing bowl and toss with the olive oil, garlic, kosher salt and pepper and set aside. 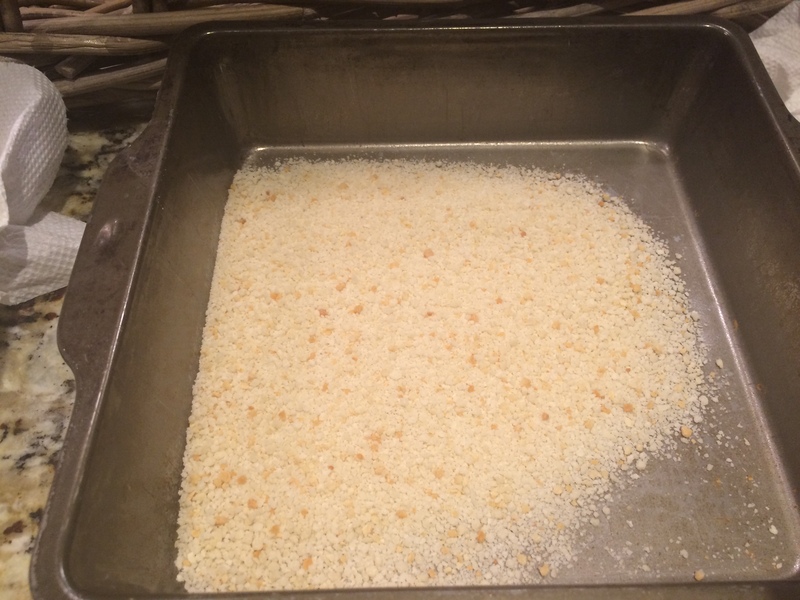 Spread the panko into a 13 by 9-inch metal cake pan and place into the oven for 2 minutes or until lightly toasted. 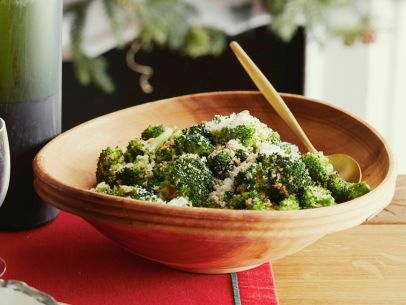 Remove the panko from the oven and add to the bowl with the broccoli mixture. Toss to combine. 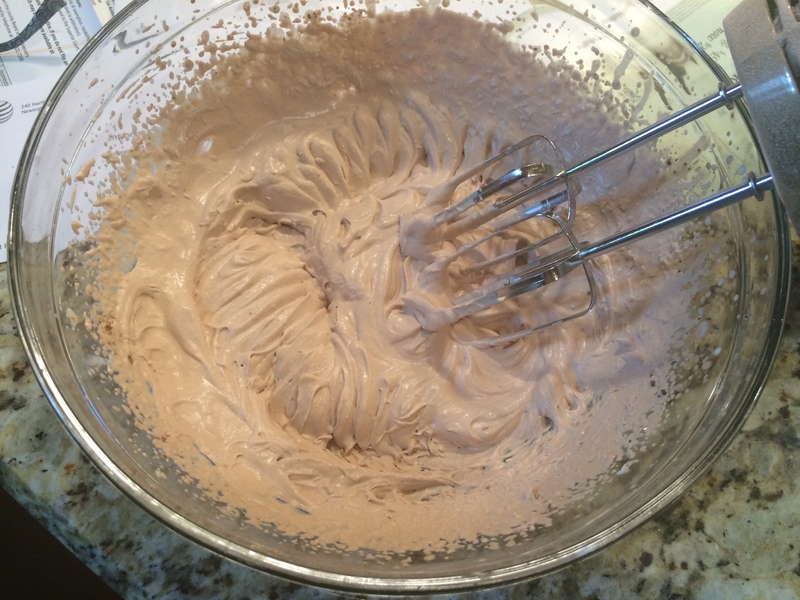 Return the mixture to the cake pan. 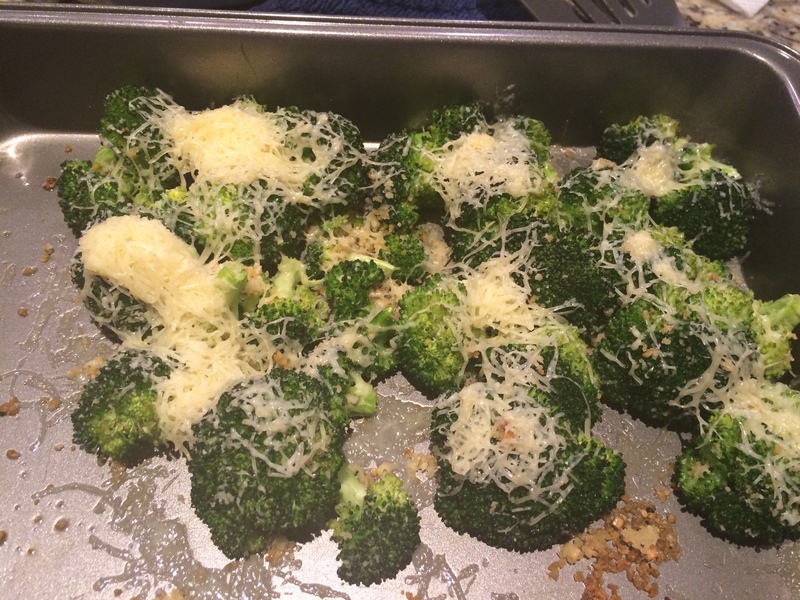 Place in the oven and roast just until the broccoli is tender, 8 to 10 more minutes. Remove from the oven, toss in the cheese and serve immediately. Bring a large pot of salted water to a boil. 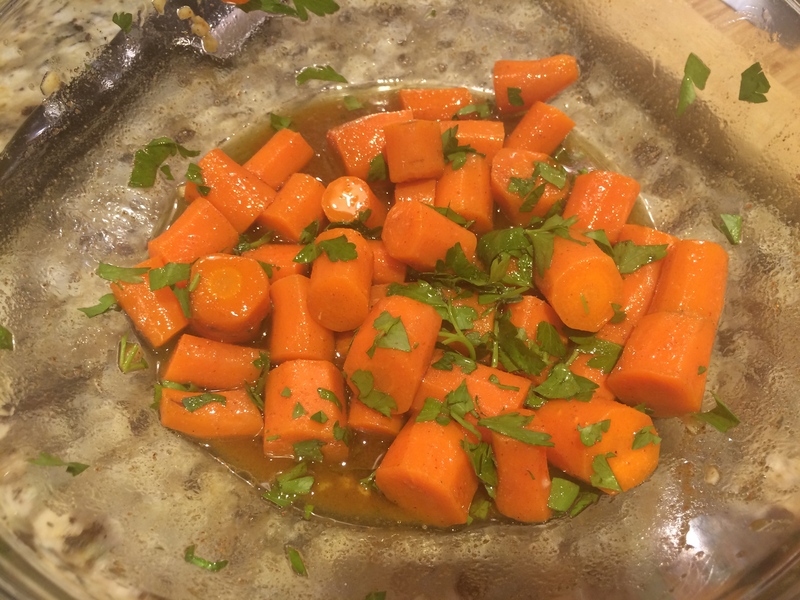 Add the whole carrots (cut them in half if they don’t fit in the pot) and cook until just cooked through, about 8 to 10 minutes. 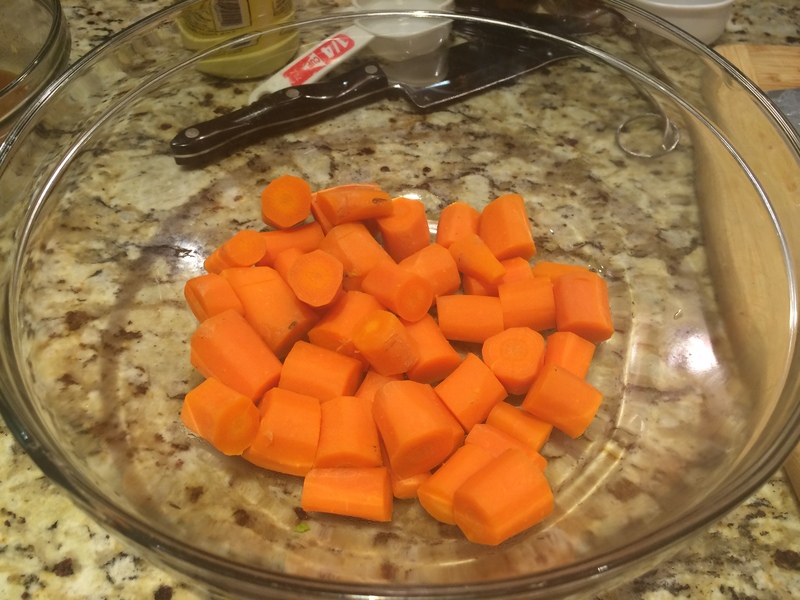 Drain and cut carrots into 1/2-inch thick slices. 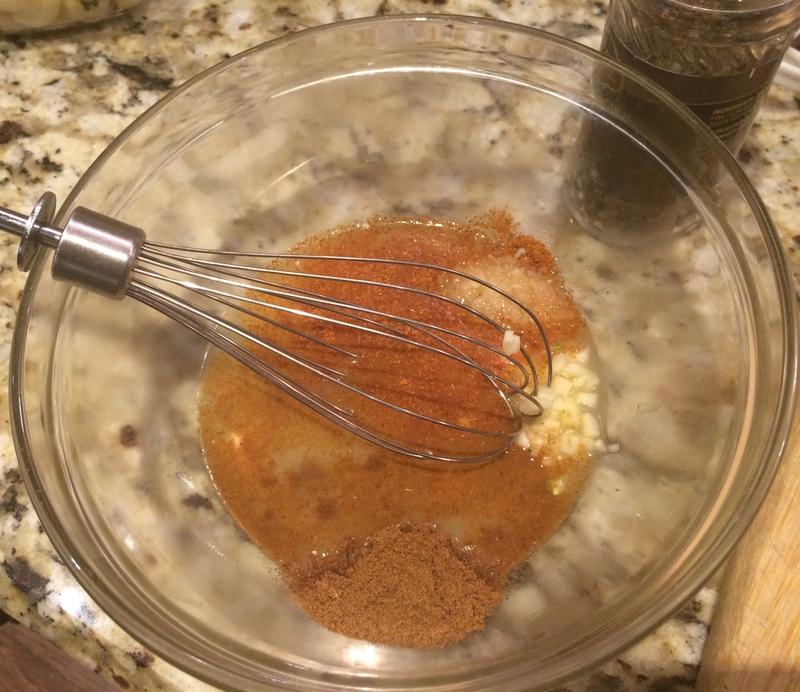 Whisk together the lemon juice, garlic, cumin, cayenne, and salt in a large bowl. 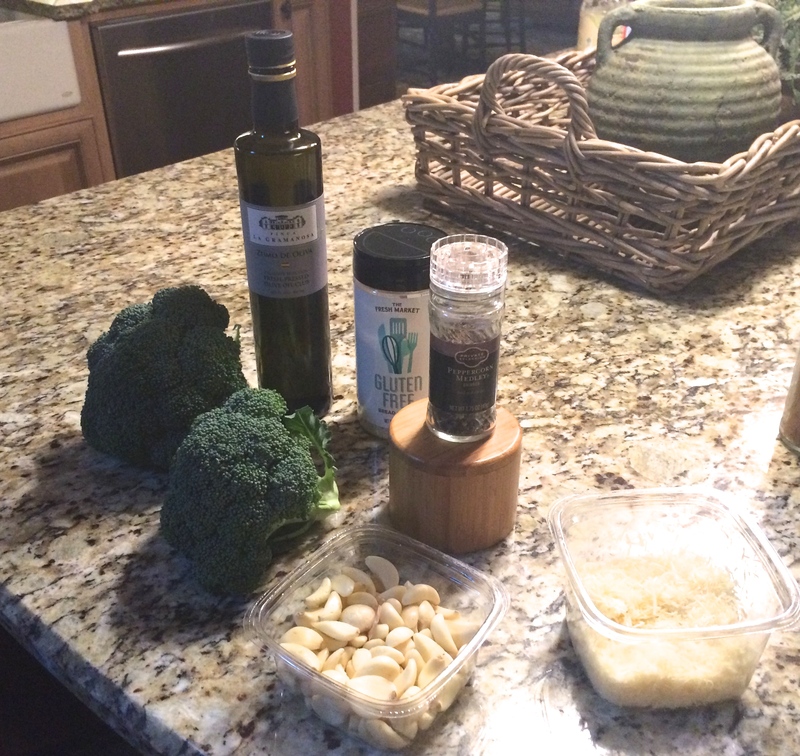 Slowly drizzle in the olive oil until emulsified, and stir in the parsley. 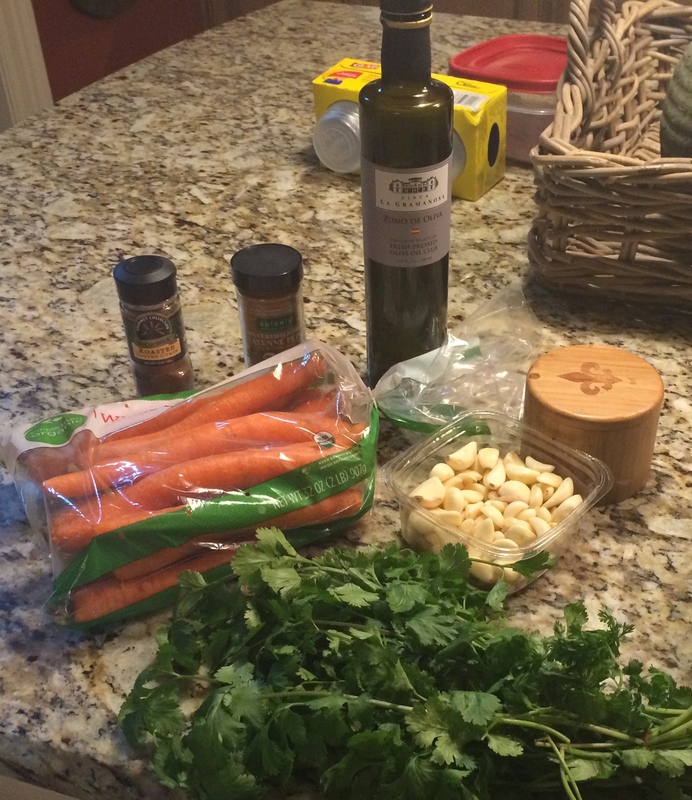 Add the cooked carrots and toss to combine. Serve cold or at room temperature. 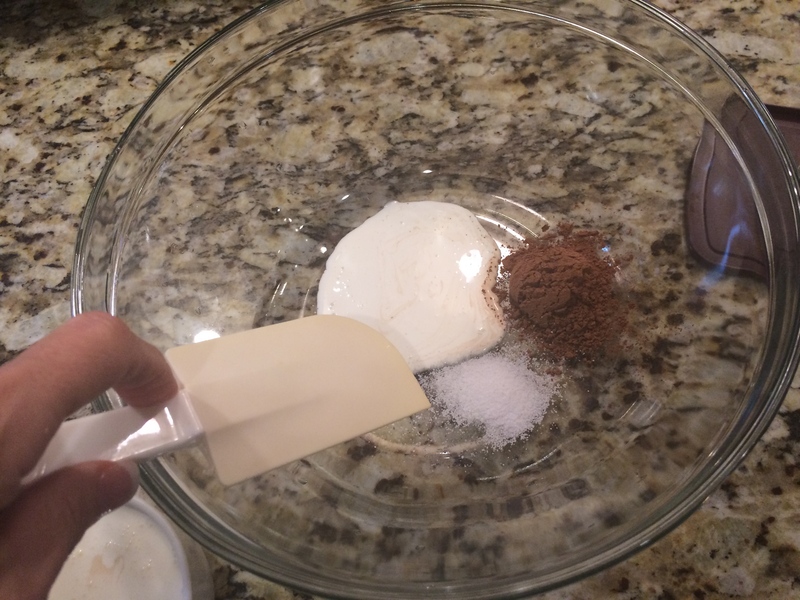 Mix the cocoa and sugar with a tablespoon or two of the cream to form a thick paste (this eliminates lumps in the cocoa) before stirring in the rest of the cream. 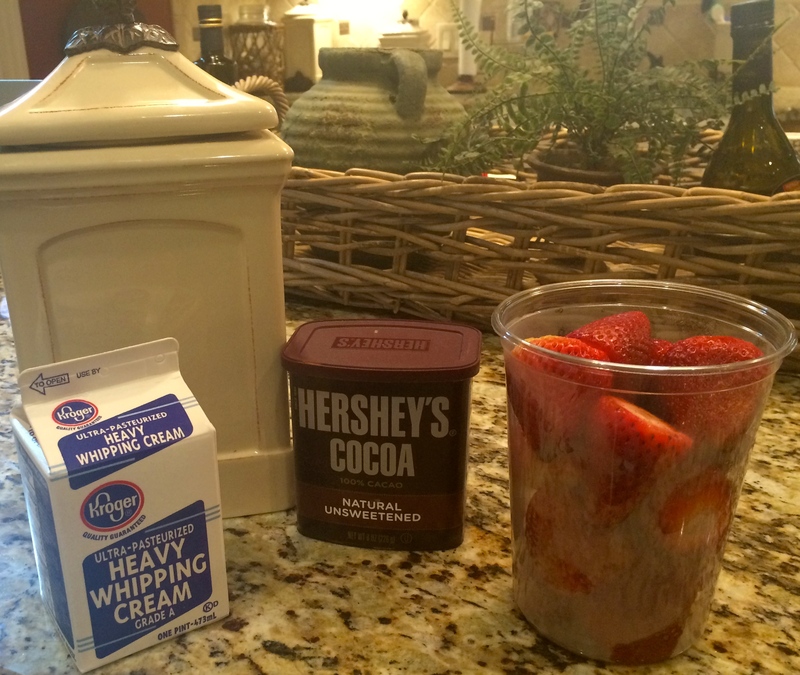 Then whip the cream to a hard peak consistency and dollop over sliced strawberries.